From comedy to cabaret and gripping theatre, there is always something happening at Brisbane Powerhouse. So where do you meet before and after a show? These restaurants near Brisbane Powerhouse range from fine dining establishments to laid-back boltholes, giving you options for every whim. This venue continually finds itself on the lists of Australia’s top restaurants, thanks to its relaxed take on fine dining. Chef and owner James Gallagher has worked in some of Brisbane’s best kitchens, and at Allium he offers a-la-carte and degustation dining, plus themed nights including BYO Thursdays and The Shortlist on Wednesdays. Bookings are recommended. It’s a little-known fact that New Farm’s plant-based cafe stays open late on Friday and Saturday nights. The change of pace on weekend evenings sees Dicki’s offer vegetarian and vegan dinner eats alongside wine, craft beers and even a concise cocktail list. Posited right on the banks of the Brisbane River, Mary Mae's is a laid-back restaurant and bar underneath Brisbane Powerhouse. 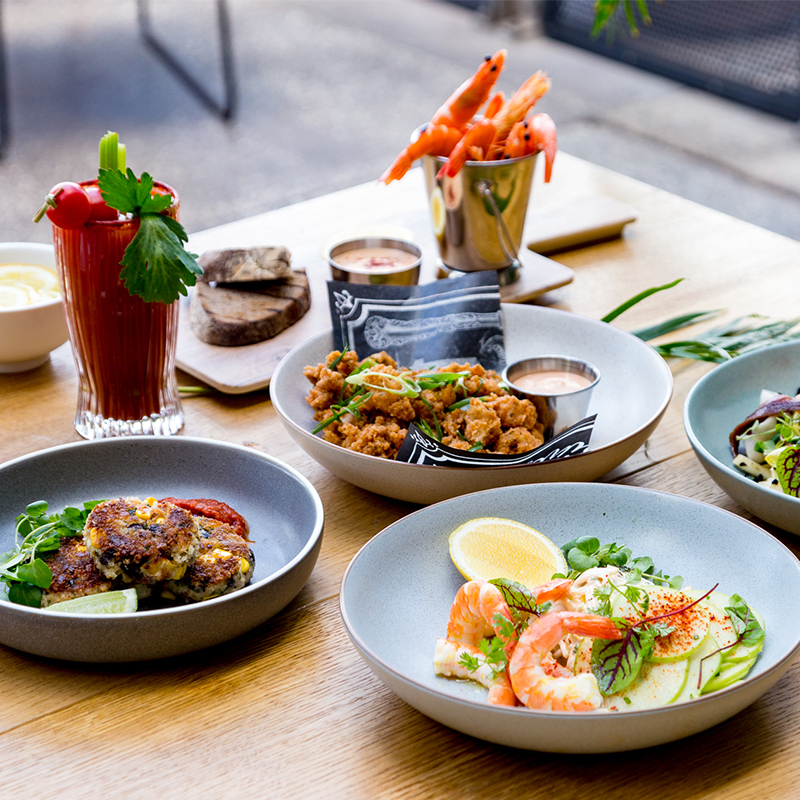 It’s always popular, yet the abundance of seating both indoors and outside means there’s always somewhere to pull up a perch, share fresh Southern-inspired fare and work your way through the menu of bloody marys and local Brisbane beers. Pub food and craft drops are the order of the day at local hangout Bitter Suite. Just a block from Brisbane Powerhouse, this casual spot has food and drink options in abundance. Everything from chicken parmigana through to steak sandwiches and lamb moussaka can be found on the menu, while the bar serves up a veritable selection of specialty drops. The original American BBQ restaurant in Brisbane, The Smoke is a popular haunt for local carnivores who like their meats slow smoked and sides of cornbread and mac and cheese in generous helpings. The kitchen’s smoker comes from Kentucky and the hickory wood used for cooking is specially imported. Bookings are recommended. Nearby in Teneriffe, Mizu specialises in laid-back izakaya shared-style dining. The extensive menu encompasses sushi, seafood, meat and vegetable share plates and dessert, while the equally lengthy drinks menu gives you plenty of liquid choices – plus there’s the option to BYO your own wine. This mainstay of the New Farm cafe scene is perpetually busy thanks to its rustic home-style Italian menu. New Farm Deli’s cuisine ranges from octopus salad through to antipasto platters and fresh pasta. The kitchen officially closes at 4pm, but there’s always plenty in the cabinet until close at 6pm. A good pick of for afternoon and early evening shows.